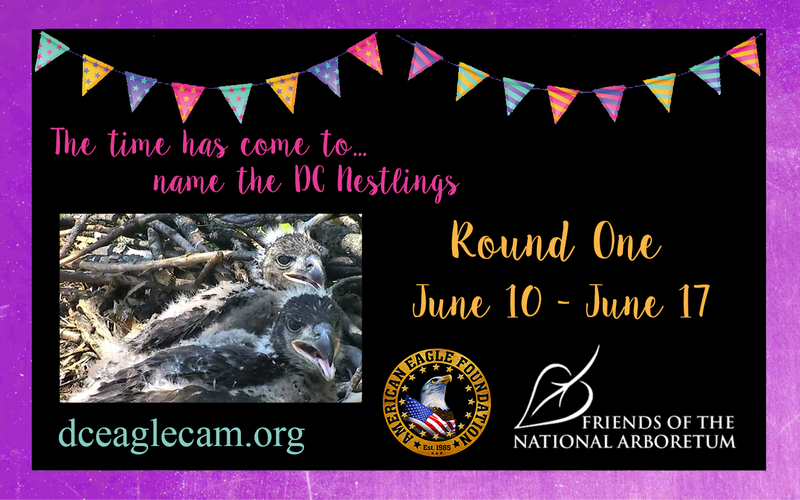 It’s Time to Name the DC Nestlings! In a perfect nest way up high in a Tulip Poplar tree at the DC Arboretum, eaglets DC6 and DC7 are going on 6 weeks old. Their experienced parents, Mr. President & The First Lady, are caring for their offspring with patience, skill, and a fierce determination to keep them safe. 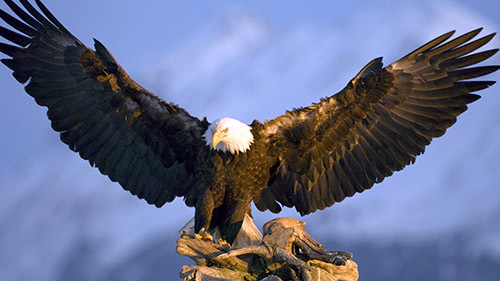 This eagle family has tens of thousands of ardent admirers who watch their every move, thanks to HD video cams that provide live feed 24/7. The American Eagle Foundation and Friends of the National Arboretum invite all of you who have been watching the antics of these two adorable eaglets to participate in a Naming Campaign for DC6 and DC7. The first phase of the campaign will collect names submitted by all of you, and will last from June 10 – June 17. The top 5 submissions will be announced on June 20, and then Round Two begins! Another form will be provided for you to select your favorite pair of names from the top 5 submissions, and a FINAL ANNOUNCEMENT will be made on June 27!